NEW YORK, N.Y., Nov. 11, 2014 (SEND2PRESS NEWSWIRE) — Perrin Conferences has selected nationally prominent mesothelioma victims champion Perry Weitz of Weitz & Luxenberg to co-chair its fourth annual asbestos-litigation symposium Dec. 2 at the New York Athletic Club in Manhattan, the law firm today revealed. The symposium – “Litigating Asbestos Cases in Today’s Environment, Featuring Insights from the Bench: The Judicial Perspective” (https://www.perrinconferences.com/html/Upcoming_Events/litigating-asbestos-cases.shtml) – will afford eight judges from New York trial and appellate courts and the New York City Asbestos Litigation Special Master the chance to share their views on the cutting edge issues of current asbestos litigation, the firm said. A pioneer of asbestos practice, Weitz helped write the book on how to litigate these cases. For that reason, he is an obvious and excellent choice to chair the symposium, the firm said. Weitz will not be the only attorney from his firm participating in panel discussions at the Perrin Conferences event, according to Weitz & Luxenberg. The much-anticipated day-long symposium is expected to draw more than 200 professionals representing all perspectives in asbestos litigation, Perrin Conferences indicated. Among them will be many of nation’s most influential asbestos attorneys. The firm co-founded by Weitz is well-known for obtaining eye-popping asbestos verdicts and settlements. For example, the $190 million verdict it won last year for four asbestos-exposure victims is believed to be New York City’s largest-ever consolidated asbestos verdict, the firm noted. Weitz & Luxenberg is credited with obtaining verdicts and settlements in excess of $18 billion for all the different types of personal-injury and mass-tort clients it represents, while Weitz himself is responsible for more than $7 billion of that total, the firm disclosed. The Perrin Conferences event promises opportunities aplenty for learning, information sharing and networking. Qualified attendees will receive Continuing Legal Education credit, organizers reported. For the detailed conference agenda, registration and hotel information, please visit http://www.PerrinConferences.com/. The New York Athletic Club is located at 180 Central Park South, Manhattan. 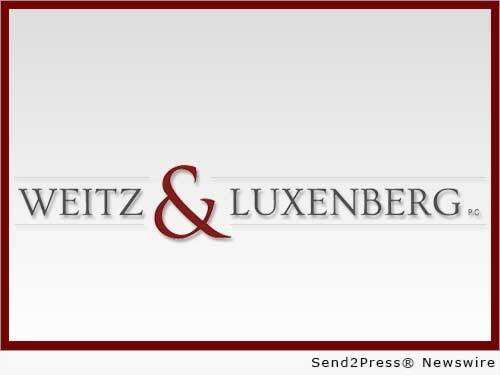 Weitz & Luxenberg, P.C., is among the nation’s leading and most readily recognized personal injury law firms. Weitz & Luxenberg’s numerous litigation areas include: mesothelioma, defective medicines and devices, environmental pollutants, consumer protection, accidents, personal injury, and medical malpractice. Victims of accidents are invited to rely on Weitz & Luxenberg’s more than 25 years of experience handling such cases. You can contact the firm’s Client Relations department at 800-476-6070 or at clientrelations@weitzlux.com. Original Keywords: Perrin Conferences, Litigating Asbestos Cases in Today’s Environment, Featuring Insights from the Bench: The Judicial Perspective Weitz and Luxenberg, P.C. New York New York NEW YORK, N.Y.
REFERENCES: Construction and Building News, Perrin Conferences, Litigating Asbestos Cases in Today's Environment, Featuring Insights from the Bench: The Judicial Perspective Weitz and Luxenberg, P.C. New York New York NEW YORK, N.Y.